Frequently asked questions | Hitelpont Zrt. Where can I find detailed information on loans? Download the detailed prospectus from the subpages of individual products, or enquire via any of our contact details given under the Contact menu item. If you have any questions, you can call us immediately on the central telephone number shown at the top of the page, or contact us through our customer service menu item, in which case our colleague will contact you within 1 day. What costs should I expect in connection with the loan? The total one-time fee payable to Hitelpont Zrt. 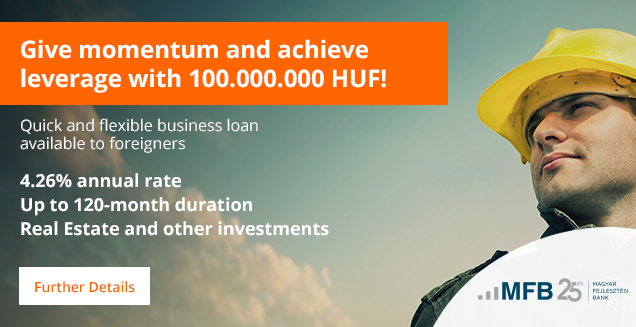 in connection with disbursal, assessing the application, and signing the contract is 50,000 HUF, which sum does not include the appraisal fee, the fee of the notary, and any other fees payable to third parties (e.g. Land Registry Office). What can the New Széchenyi Loan be used for? Projects: real estate development, renovation, construction of a new building, property purchases for business purposes, site establishment. Purchasing production equipment, machinery, installations, software, and hardware. Current assets: for purchasing merchandise and raw materials in connection with starting a new activity. If you are unable to decide whether the planned use of the loan is appropriate for the given product, call us immediately on the central telephone number shown at the top of the page, or contact us through our customer service menu item, in which case our colleague will contact you within 1 day. What cannot the New Széchenyi Loan be used for? The loan may not be used for the following, amongst others: financing VAT, covering operating costs, substituting a loan, purchasing assets or real estate from affiliates or proprietors of the business applying for the loan. The aim of the project must also comply with EU regulations on de minimis assistance, regarding which you can find further information in the Product Description. What does the GOP/KMOP distinction mean? If the loan target is located in Pest County or Budapest, financing is provided under the KMOP program, while for other counties under the GOP program. Until when do I have to use the loan? Use must be commenced within 60 days of the disbursal of the loan and completed within 24 months of signing the contract. The completion of the project must be attested credibly to Hitelpont Zrt., with documentary evidence. What are the collaterals for the loan? The main collateral is real estate property. The property offered as collateral must be located in Hungary, independently marketable, free and clear of all liens, claims, and encumbrances, owned by an individual, and with the possibility of establishing a lien of first hypothecary rank for it. The property offered as collateral must be covered by property insurance against fire and other natural forces, with Hitelpont Zrt. as the beneficiary up to the amount of the loan and related contributions. If the property offered as collateral is owned by a business, we shall require a lien agreement on the business share. Depending on the decision on the loan application Hitelpont Zrt. may require a bank guarantee equivalent to 1-6 months’ instalments from applicants. Managing directors, proprietors, other individuals and businesses may be involved as guarantors. Signing a power of attorney with a clause for the bank account of the debtor.